This weekend Hollywood is getting nostalgic, recalling its glamorous past as Turner Classic Movies unrolls the red carpet for the 4th annual TCM Film Festival. Although I was still living in southern California during the festival’s inaugural event in 2010, I’ve sadly never been able to attend. Instead, I live vicariously through the classic film blogging community as twitter and facebook explode with updates about celebrity sightings, screenings of favorite films in Hollywood’s famous cinemas, round table discussions with many-a-film-fan’s personal idol Robert Osborne, and, of course, meeting and forming friendships with other film bloggers. Just kidding. This week, spring finally decided to grace London with its presence, and it was glorious! I left my winter coat in the closet for the first time since November and walked outside wearing a cardigan. And I didn’t freeze to death (60 degrees is shorts weather for Britons, but anyone from California knows 80 is where it’s really at). However, it looks like this warm spell is going to be short-lived. After a year and a half living in the quaint suburb of Crouch End, birthplace of actress and Vivien Leigh look-alike Jean Simmons, I’ve finally ditched my awkward and sometimes downright rude flatmates (seriously, they had a penchant for cooking at midnight and telling me I was “cutting in to their time” when I brought up household issues) and moved south of the river with Robbie. It’s really nice having my own (shared) space and not feeling like I have to cloister myself in my room because the couple mentioned above took over the rest of the flat. Although it is rather startling how much stuff I managed to fit into that shoebox I used to sleep in. I admit it. I’m kind of obsessed with the goings on in Westeros. I mean, did you see last week’s episode? How fierce is Daenerys Targaryen? Will Tyrion Lannister get the revenge he seeks? What is Varys going to do with that sorcerer in a crate? What does Diana Rigg (Olenna Redwyne) have up her sleeve? Also, this. Although I update facebook and twitter every day, I’ve been neglecting this blog over the past six months or so. 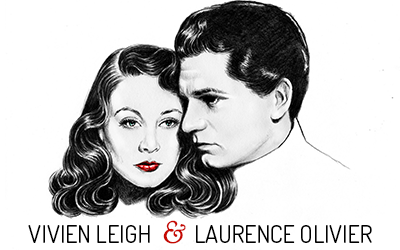 I blame the whirlwind that has been writing and assembling my upcoming Vivien Leigh book by the deadlines specified by my editor. Now that this is winding down and the publication date grows nearer, I’ve been thinking of new ways to jump start the blog again. I get a lot of questions from fans who visit London and wonder where they can see places related to Vivien Leigh. This weekend, Robbie and I are planning to put together a special video chronicling exactly that. Fingers crossed the rain stays away! 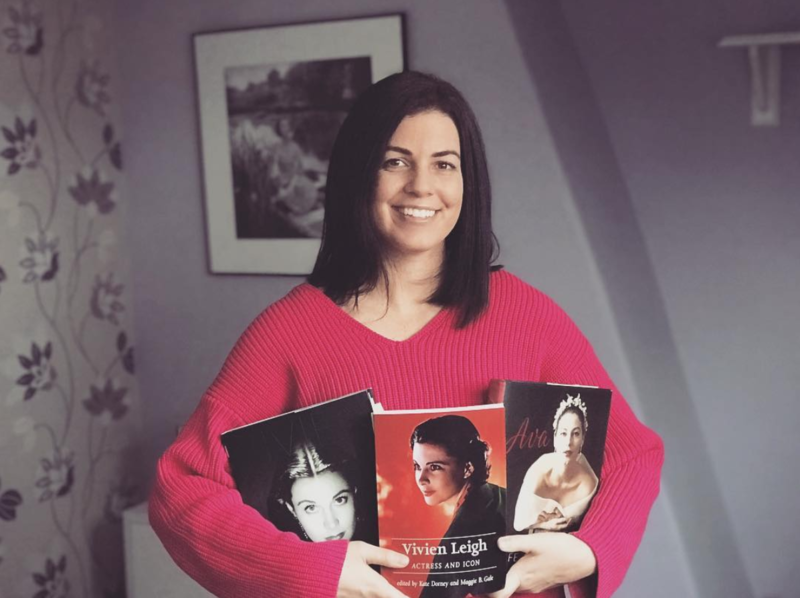 I got the second proof of Vivien Leigh: An Intimate Portrait this week, and now have to hand in the chapter notes and photo credits by Monday. It’s really exciting and kind of strange to see the end in sight after having spent so much time working on it. Onward to the finish line! Check your Facebook messages for something re: GoT. With all due respect to L.A., I really do think that San Francisco is the best movie town in the USA. I did a couple of Noir City festivals, as well as the Silent Film Festival at least twice and a couple of their one-shot special screenings. I did catch both GWTW and The Wizard of Oz in their 50th anniversary revivals in LA back in 1989 – both at the Cinerama Dome as I recall – and was a regular at the Los Angeles County Museum of Art’s film series introduced by Ron Haver, which included an Olivier festival around the time of his death (I watched Lady Hamilton for the umpteenth time – though only my second viewing of it in a cinema). On the other hand, Manhattan always has its charms. Isabella Rossellini will introduce my favorite Ingrid Bergman performance on May 1: Viaggio in Italia. Lovely mother, lovely daughter. I’m not sure yet that I’ll take the trip, though I may give it a try! My situation in Crouch End wasn’t so much like a gay sitcom as it was just an awkward and unfunny sitcom that doesn’t make it past the pilot episode, haha. So glad to be out of there and living with someone I actually like! It sounds like you have been to so many amazing screenings. I saw GWTW, The Wizard of Oz, Brief Encounter and Wuthering Heights at special Academy screenings in LA, and a couple cool ones here in London, but really wish I could attend more. Have fun at the Film Forum screening! All the best for your “new” life in your “new” apartment with Robbie. It sure is an exciting spring, even if it doesn’t really look like spring ! I am sorry too, missing each year the TCM event in Hollywood… Here in Montreal we are not really spoiled with screenings of “old” movies… It sometimes happens in the biggest theater in town, but it happens on Sunday mornings ! I will repeat myself again: I can’t wait for THE book ! I am very excited to hear that the book is near completion, can’t wait to display it on my coffee table! The video sounds like a great idea, I hope the weather cooperates. Best of luck and happiness to you and Robbie!